Members are experienced professionals who operate as independent travel specialists, fully embracing the entrepreneurial spirit of their individual businesses. They have the travel expertise and business acumen required to enable them to work independently while enjoying the advantages of associating with a nationally recognized, award winning Virtuoso member agency. 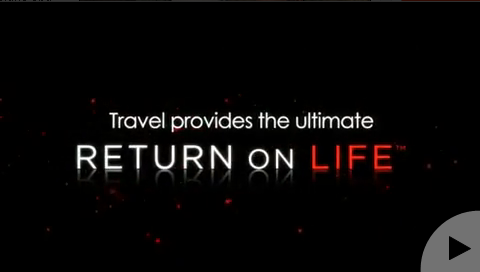 Through this affiliation, we are able to provide the best possible travel options and value to you, our valued clients. 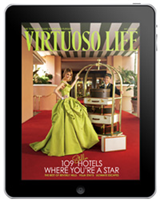 Virtuoso is an invitation-only network of the world’s finest travel agencies with knowledgeable advisors who draw upon first-hand experience to create the perfect vacation for you. 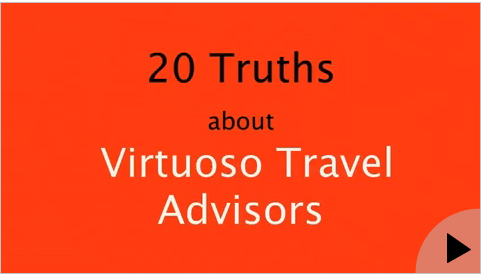 Virtuoso affiliated travel advisors have global connections with the best hotels, cruise lines, airlines and tour companies. For you, this means access to exclusive travel offers that you can’t get on your own, along with your best value for your money. That’s the Virtuoso difference. Global Connections: With personal contacts at more than 1,000 airlines, cruise lines, hotels, resorts, and premier destinations worldwide, we as Virtuoso affiliated travel advisor puts these relationships to work for you. 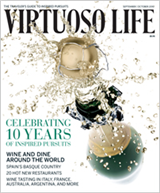 Unparalleled Expertise: Virtuoso affiliated travel advisors are among the most well-traveled people on the planet. We draw upon our own first-hand experiences when customizing vacations for you. Customized Travel Experiences: From weekend getaways to trips of a lifetime, counting on the expertise of a Virtuoso affiliated advisor ensures your greatest return on your travel investment.